I present to you the "Space Turkey", my entry to the puppet contest! 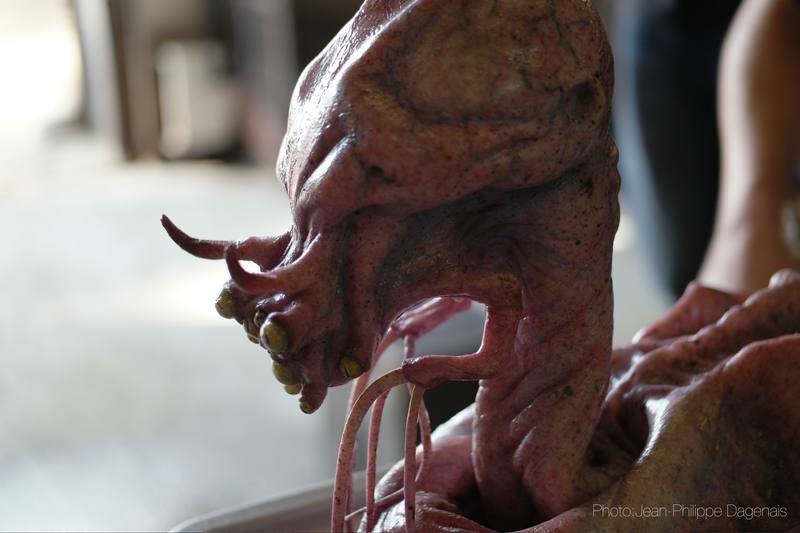 This weird critter was conceived for a TV show, and I was responsible for the developement of the appearance of the creature, the sculpting and even the puppetering of this guy. It was a team effort tough, as I co-designed it with C.J. 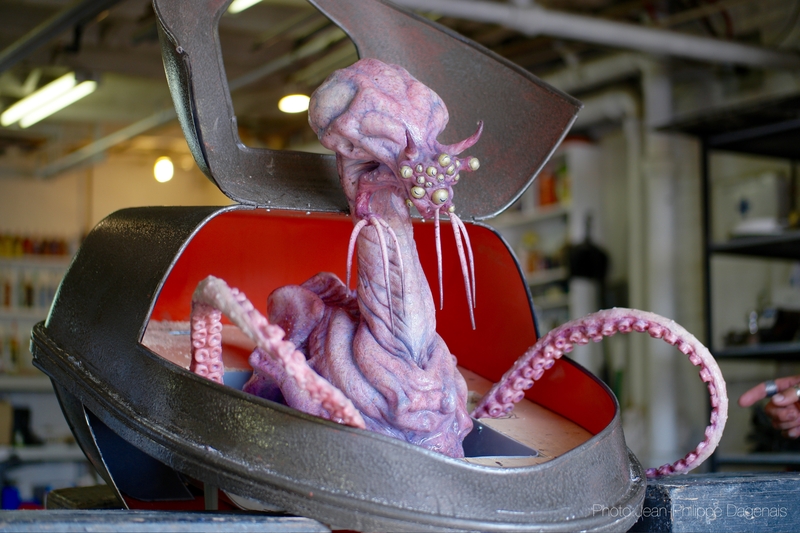 goldman, molds were made by Erik Thivierge, the simple (but amazing!) cable controls were crafted by Bruno Gatien and the final coloring was painted by C.J. Goldman and myself. The said "Space Turkey" crashed landed on earth in a crash pod, and we wanted to have something unsetteling and somewhat rediculous coming out of it. 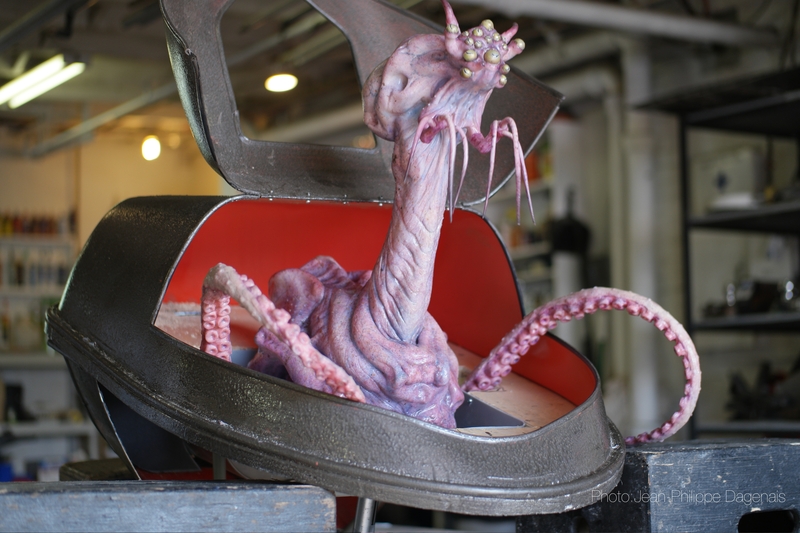 It was really fun to see this creature evolve and come to life, he took about a month's work from inception to completion. I hope you enjoy his quirky personnality! Here's a small making of and movement test! The test focused more on head movement, but those big temtacles could really whip around like crazy! Wow very cool. What do the controls look like? Such awesome work!! I love the colors in it!